The first look of Nandamuri Kalyan Ram’s new film ‘Ism’ has been released today. The posters have received a superb response on social media and Kalyan Ram’s transformation is being appreciated by one and all. But what has caught everyone’s eye is the Guy Fawkes mask in the background. This mask is now popular as the mask used by the hacktivist group Anonymous. While nothing has been revealed about this connection so far, there is speculation that this mask will have a strong connection to the story as Kalyan Ram is supposed to be a journalist in the movie. 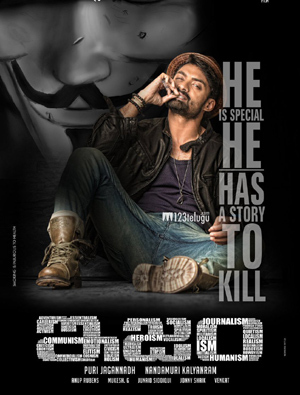 Ism is set to hit the screens on September 29th and Kalyan Ram is producing the movie. Anoop Rubens is the music director and Aditi Arya is the heroine.